This is my weekly routine lately for shopping with less waste, both plastic waste from packaging, and food waste from uneaten food. Now that the weather is looking up here, it’s been easier to always get to our twice weekly farmers market. I bike there most of the time and so the rain deters me sometimes in the winter. I strive for the market and my garden to be my main source of food, which feels like an act of revolution, a small way to stick it to the man I guess. By circumventing the grocery store and buying from farmers directly, I am able to directly support them, circumvent the behind the scenes packaging, food stickers, refrigeration/employee energy, and also vote with my dollar for another model of food. A model I believe in, that supports and elevates farmers as one of the most important jobs in society, that votes for a producer to consumer model, that nurtures community relationships, puts the money back into local pockets, and connects me and grounds me back into the earth + where my food comes from. It’s an essential in my life. It brings joy. I realize this is not a possibility for everyone, but here, it’s my reality and I would be severely remiss if I didn’t live it, support it with the privilege I have to do so. Even though I do shop at the market for almost all of my needs, there are things I can’t buy there: mostly things like vinegars, beans, certain grains, teas, and the like. For those, I support the next best place: my local food co-op. Co-op is short for co-operative, meaning that it is owned and democratically governed by its members- profits get reinvested back into the business, the members, and the community instead of lining the pockets of investors. My co-op has an excellent selection of bulk grains, beans, sugars, teas, spices, oils, vinegars, tofu, olives, and more, which means I shop there for most anything else. Here’s the main points I try to stick with in my shopping. i. buy what you need. meaning, don’t buy more than what you’ll use. This is tricky, and it can take a while to be able to gauge correctly for your specific household needs, but if you start paying attention to what you go through in a week, you can get a better idea. ii. shop more often. 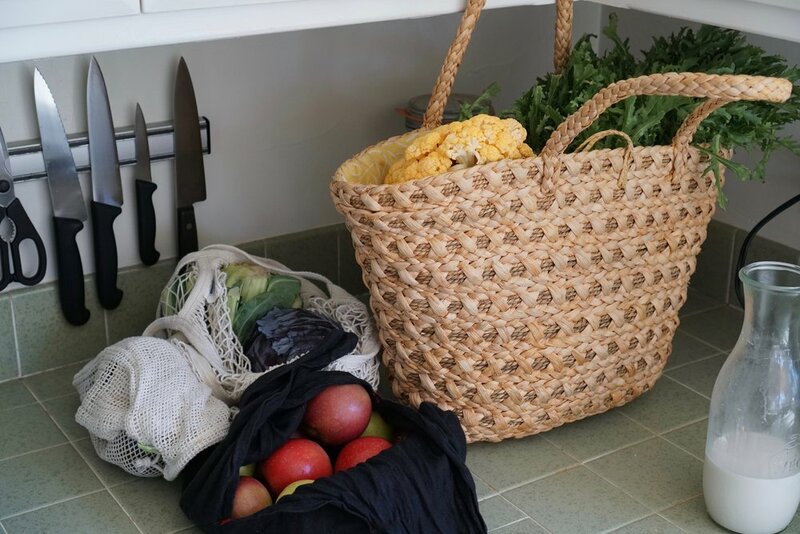 this is definitely subjective to your lifestyle, but I find that when I shop more often for fresh produce, I waste way less, as we’re eating it that day or the next few days. Less time in the fridge, fresher food, less food waste. We have a store a few minutes away from our house that’s on the way home, so this works for us, because I can pop in for a head of lettuce each day, no problem- and can bike there easily and safely. I shop both farmers markets a week, splitting the haul into two- that way I get topped up halfway through the week, only replacing with what we need more of. iv. shop with the seasons. Seasonal food is fresher, tastier, more likely to be local, and ties us back to the natural rhythms of life on earth that we as humans have disconnected with. If you’re in the US, this site is a great resource. v. shop locally as much as possible. To support your community, to eat fresher food, to naturally eat with the seasons in your area. Check the labels and signs on things to see where they’re coming from. vi. shop as low waste as possible. For me this means knowing where my local places are that offer bulk, and having my kit sorted and ready to go when I’m ready to shop. It takes a bit of advance preparation, but not much. For the market: some drawstring bags and bento bags for produce, a straw basket to carry it home in. 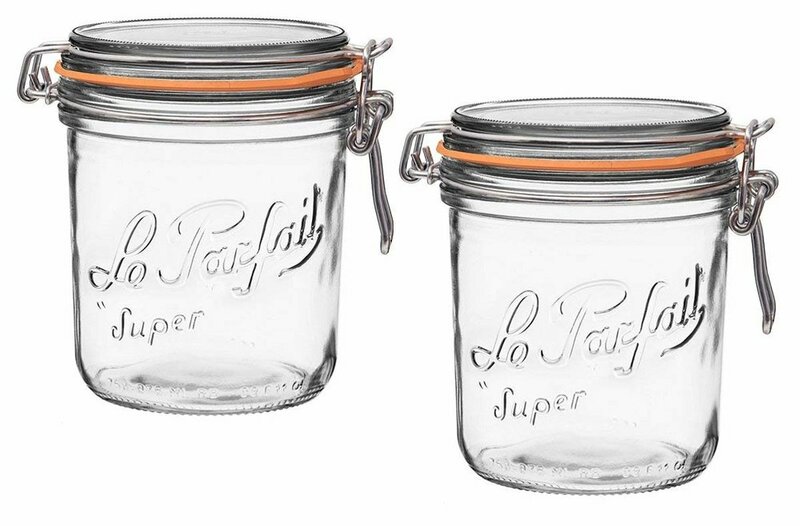 For the grocery store: some jars for wet goods and more of the bags for bulk goods. I put things directly into my cart and on the conveyor belt, you can also bring a linen kitchen towel with you to lay down in the basket or cart for items like salad which may be wet or if you have hygienic concerns. Sometimes I’m not prepared at all and end up needing to pop into a store impromptu. I always keep a string tote in my bag for that purpose, it rolls up quite small and is very lightweight but can stretch to accommodate an impressive amount. It’s also such a good beach or pool tote because the sand/water can fall right through. 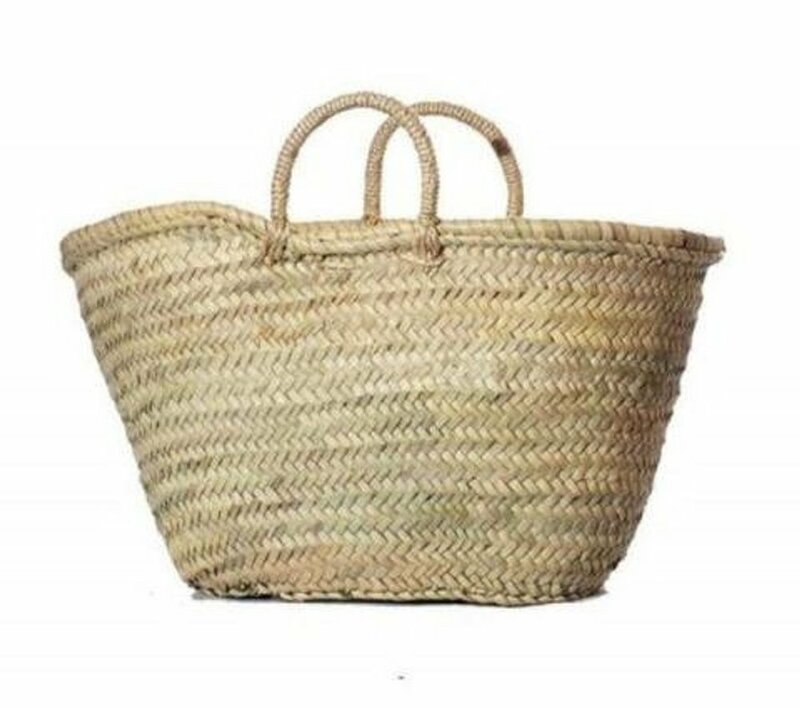 These bags have been common in Europe for many years, it always makes me think of Sophia Loren in the last story of Yesterday, Today, and Tomorrow. Lastly, fret not when you do, in fact, use plastic and buy in packaging. I do sometimes. We all do. Our economy is not set up to be conducive to zero waste and sometimes other things can and should take priority over being sustainable- mental health, financial health, occasional treats, cultural foods that fill our cup, products we haven’t found a package free alternative for yet. The point is to cultivate the awareness, do our best, and advocate for change when applicable. Also, you don’t need any special gear to be zero waste. It’s nice and pretty and it personally makes me motivated to continue on with the lifestyle as I’m very driven by beauty in my daily life. But, let’s be clear, what you already have works just as well, if not better, because its already something you’re removing from the waste stream. REUSE whenever possible. Either way, whatever fits your life, the point is to be doing it.